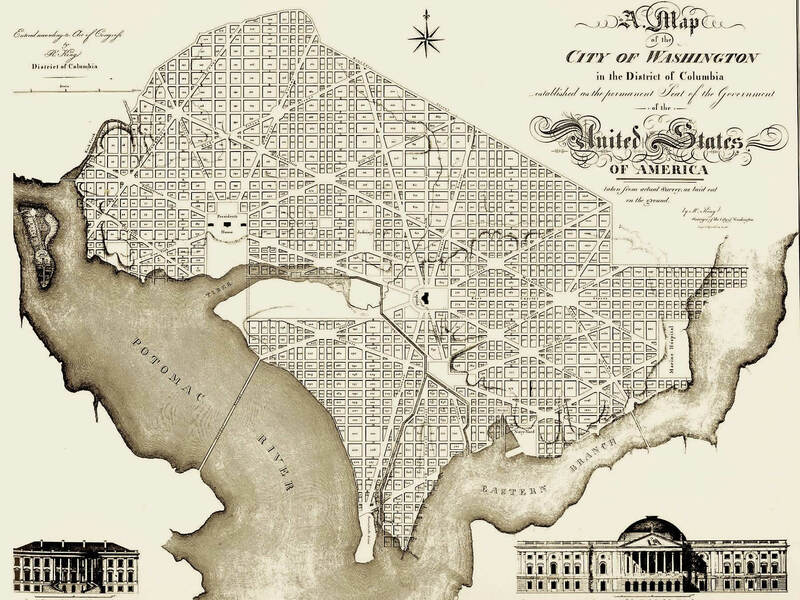 This Resource page is updated regularly. Please check back often for new information. 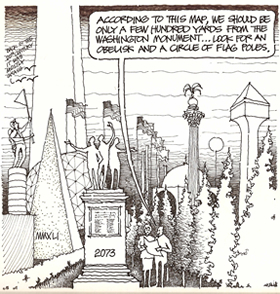 Where did the idea for the Monument come from? 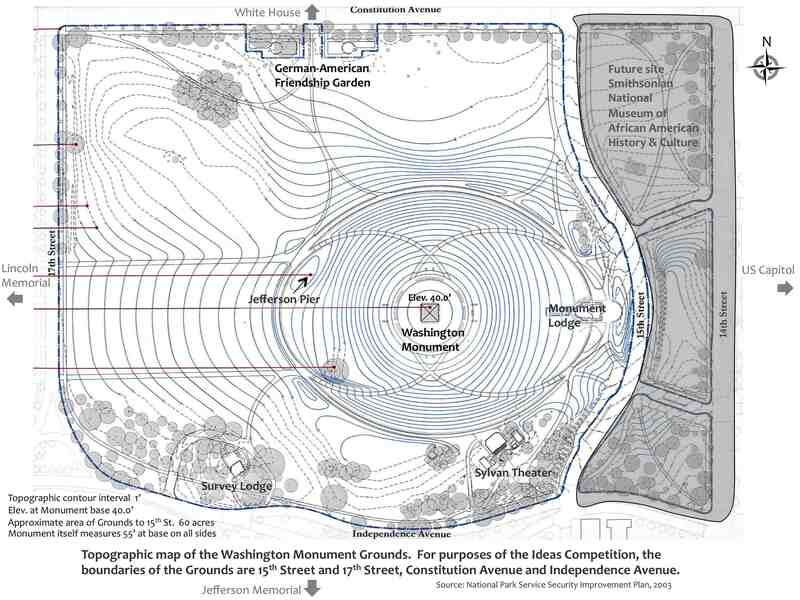 Why were the Washington Monument grounds never completed? 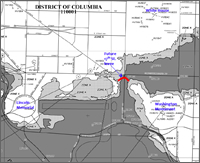 Watch the video or download an annotated version of the video. 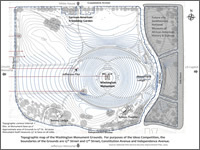 Google Earth (free download — http://earth.google.com) provides multiple views of the Washington Monument and surrounding areas. Open Google Earth. Click on blue and white globe icon on your hard drive. 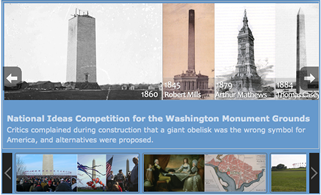 In the “Search” box, type in Washington Monument to see satellite views. 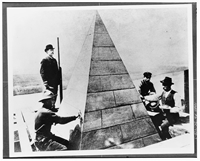 In “Layers,” click “Panoramio Photos.” Click on blue squares, each of which represents a photograph of this location at ground level. 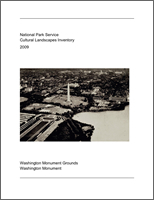 Link to Historic Preservation Report prepared for the Smithsonian National Museum of African American History and Culture 2007, with numerous historic maps and views of the Washington Monument grounds. 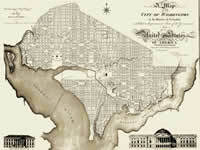 Designing the Nation’s Capital: The 1901 Plan for Washington, D.C., 2006, Commission of Fine Arts. 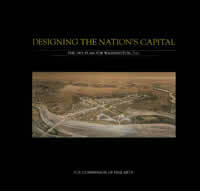 This collection of scholarly essays examines numerous aspects of the 1901-1902 McMillan Plan (Senate Park Commission Plan) for the National Mall.